Want to invest your hard-earned cash in something that’ll pay real dividends? Not sure how to negotiate the mumbo-jumbo of the financial world? 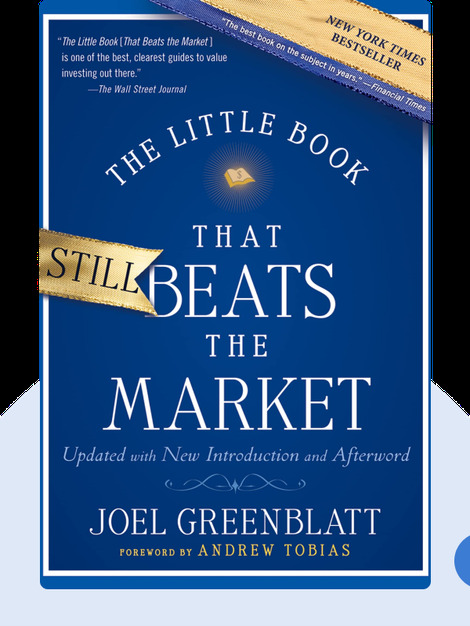 The Little Book That Still Beats the Market is a New York Times bestseller that introduces and explains a simple formula that enables anyone to make above-average returns on the stock market. Joel Greenblatt is an American hedge fund manager and author. His books include You Can Be a Stock Market Genius: Uncover the Secret Hiding Places of the Stock Market Profits and The Big Secret for the Small Investor: A New Route to Long-Term Investment Success. He also teaches as an adjunct professor at the Columbia University Graduate School of Business. 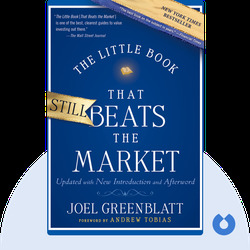 © Joel Greenblatt: The Little Book that Still Beats the Market copyright 2010, John Wiley & Sons Inc. Used by permission of John Wiley & Sons Inc. and shall not be made available to any unauthorized third parties.